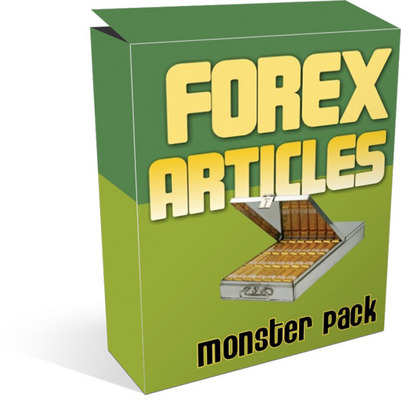 Are you looking for the biggest Forex Trading article package yet? How about 589 unrestricted private label rights articles. * Make one big giant ebook out of them. * Submit them to blogs, ezines, and articles sites for great traffic. * Your choice are up to you. Here is a sample of the articles you will be getting..
A Short Explanation Of Buying and Selling In Forex Trading. * A way of wining huge profits. * Are The Forex Brokers My Friends? * Are you prepared to currency trade? * Buying Currency in Iraq: A bargain or not? * Can Trading Futures, Forex Or Stocks Be Addictive?